There will be no services for Beverly A. Dietz, it was her wishes to be cremated. The Price-McElroy Funeral Home in Kenton is assisting the family with arrangements. She died at her residence on Friday, January 25, 2019. 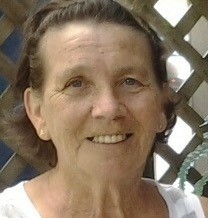 She was born on January 11, 1949 in Kenton to the late Walter and Mildred (Born) Bridenstine. On February 10, 1968 she married her husband of 50 years, Donald Dietz and he survives in Kenton. Also surviving are a daughter; Vickie Blair of Kenton, 2 sons; Flint (Shari) Dietz of Kenton, Allen Dietz of Kenton, a sister; Phyllis (Mike) Craun of Lima, 6 brothers; Bob (Shirley) Bridenstine of Florida, Jim (Jean) Bridenstine of Kenton, George (Jani) Bridenstine of Kenton, Paul (Dawn) Bridenstine of Marseilles, Phillip (Jennifer) Bridenstine of Upper Sandusky, Douglas (Judy) Bridenstine of Marseilles, a granddaughter; Courtnie Dietz of Forest and numerous nieces and nephews. She was preceded in death by 2 brothers; Earl and Dale Bridenstine, and a son-in-law; Donald Blair. Beverly was a homemaker, who also helped housekeep for some of the elderly in the area. She loved to be outdoors, whether it was gardening, planting flowers or just sitting on the porch enjoying the sunshine. In lieu of flowers memorial donations may be made to the donors choice.